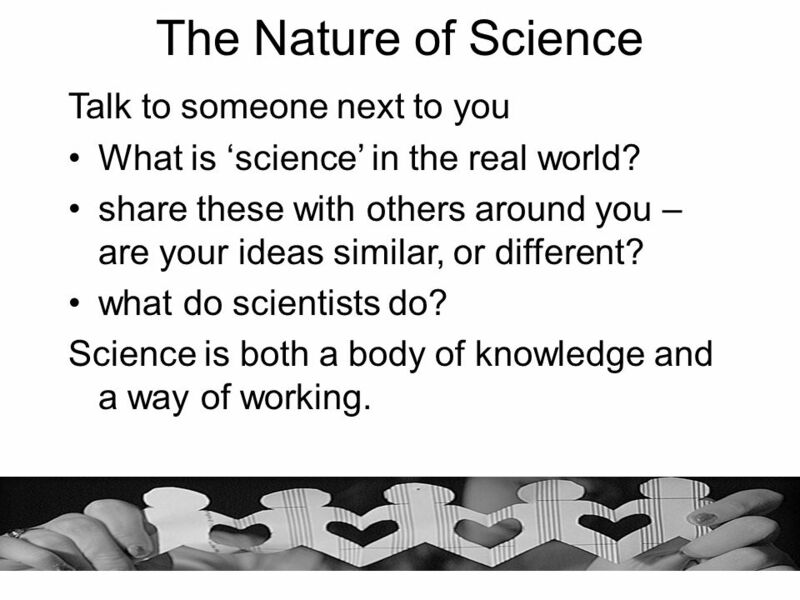 What is ‘science’ in the real world? 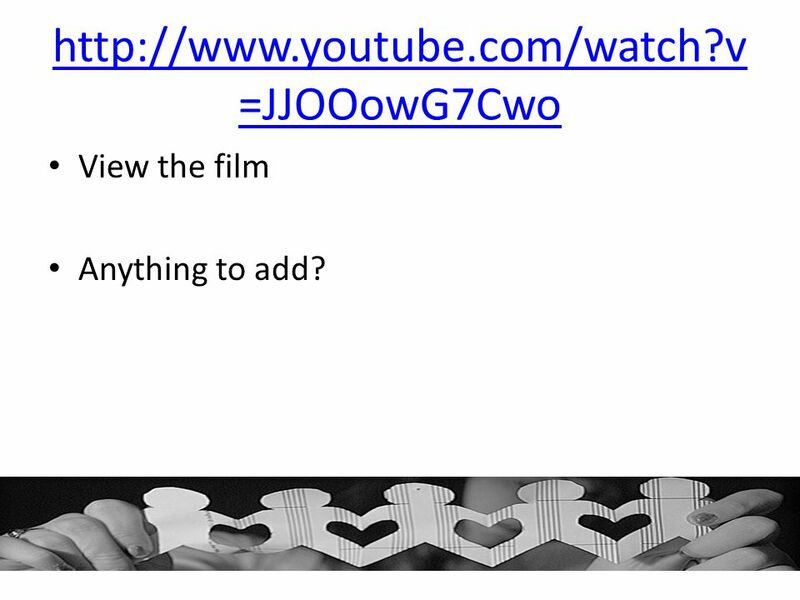 share these with others around you – are your ideas similar, or different? what do scientists do? Science is both a body of knowledge and a way of working. 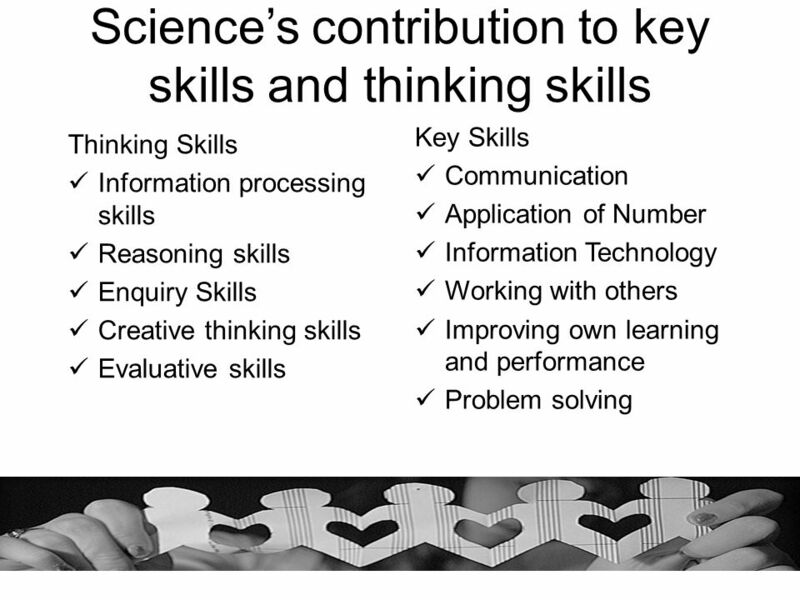 What is primary school science like? 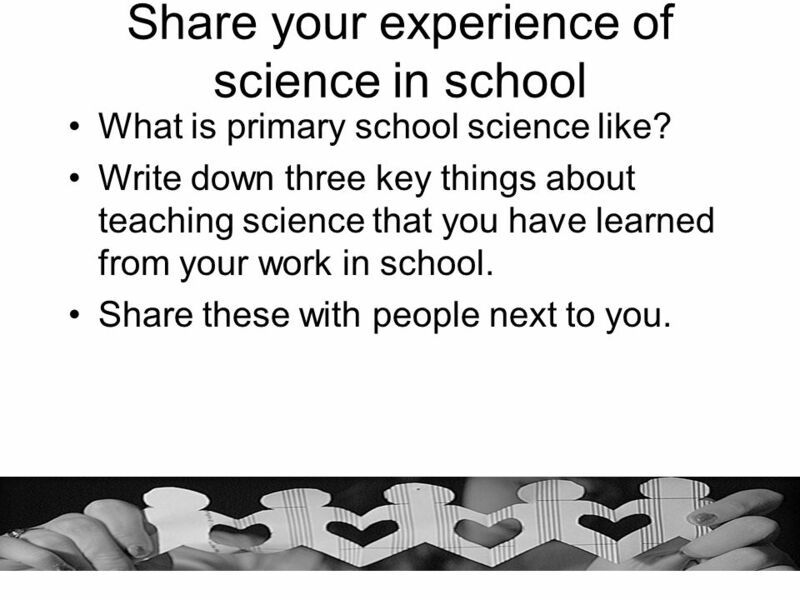 Write down three key things about teaching science that you have learned from your work in school. Share these with people next to you. 5 What methods are appropriate? 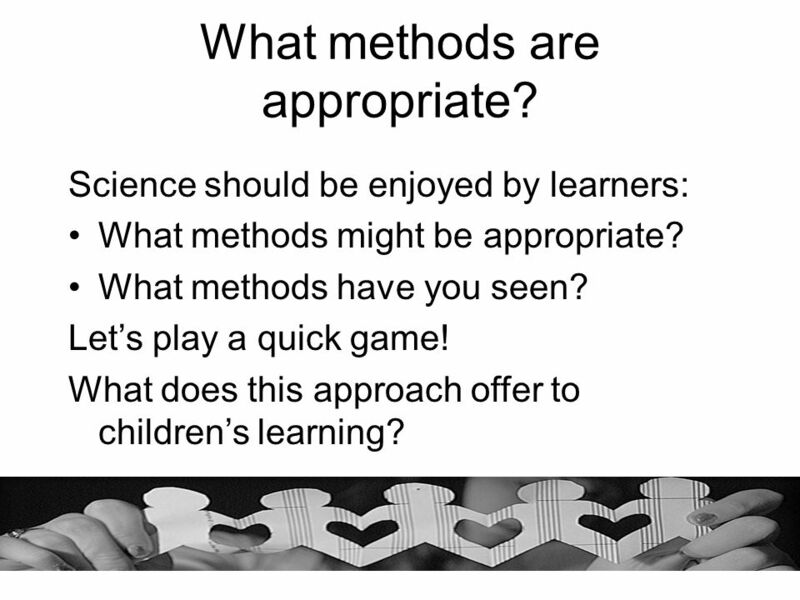 Science should be enjoyed by learners: What methods might be appropriate? What methods have you seen? Let’s play a quick game! 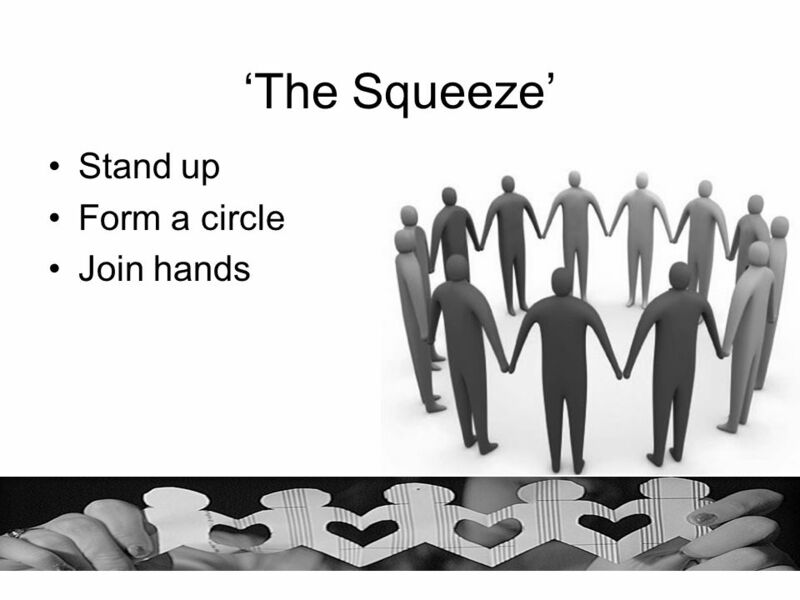 What does this approach offer to children’s learning? Draw a picture to show what a scientist does. 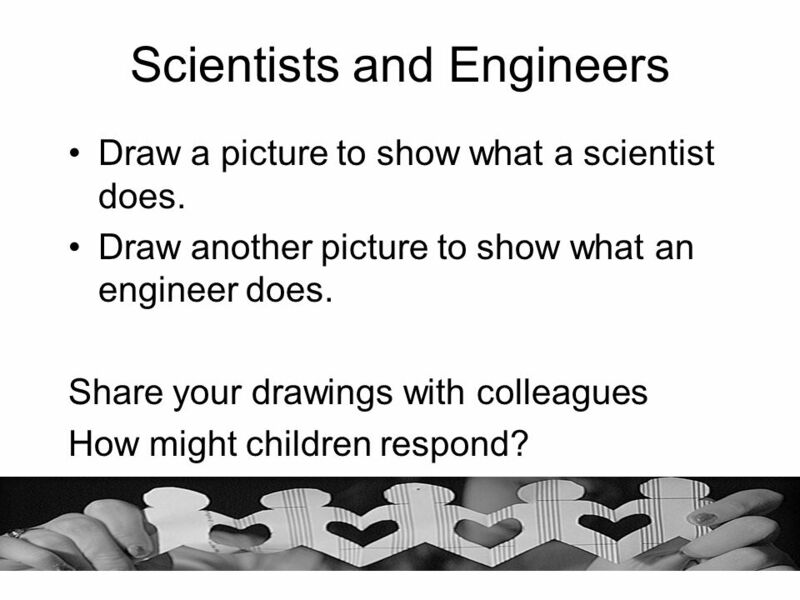 Draw another picture to show what an engineer does. 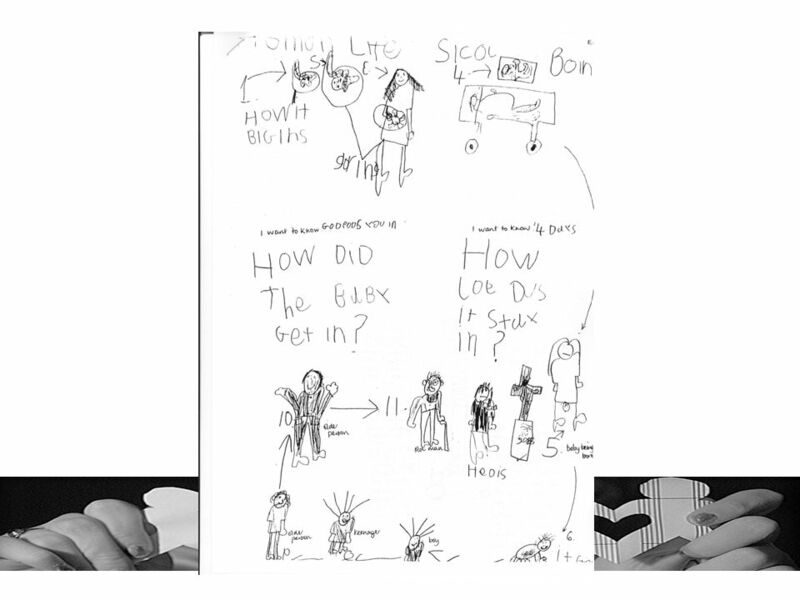 Share your drawings with colleagues How might children respond? 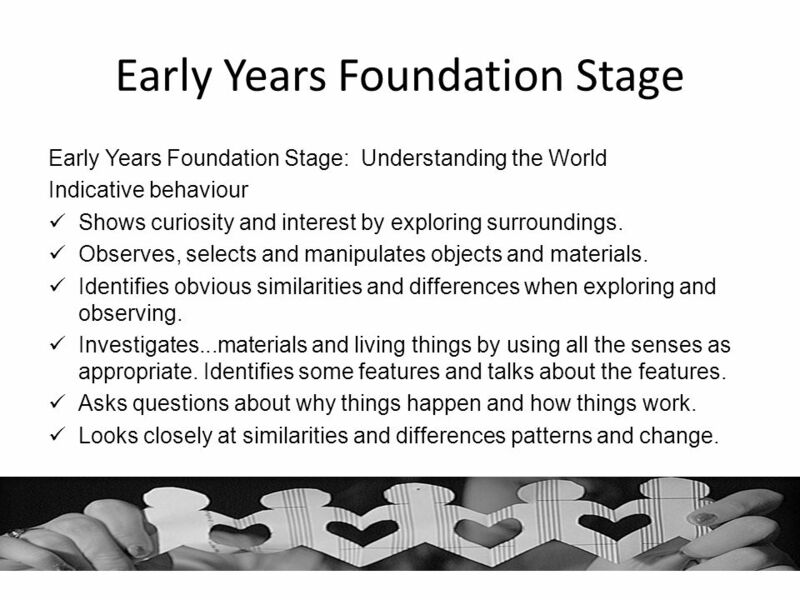 Early Years Foundation Stage: Understanding the World Indicative behaviour Shows curiosity and interest by exploring surroundings. Observes, selects and manipulates objects and materials. Identifies obvious similarities and differences when exploring and observing. Investigates...materials and living things by using all the senses as appropriate. Identifies some features and talks about the features. Asks questions about why things happen and how things work. Looks closely at similarities and differences patterns and change. 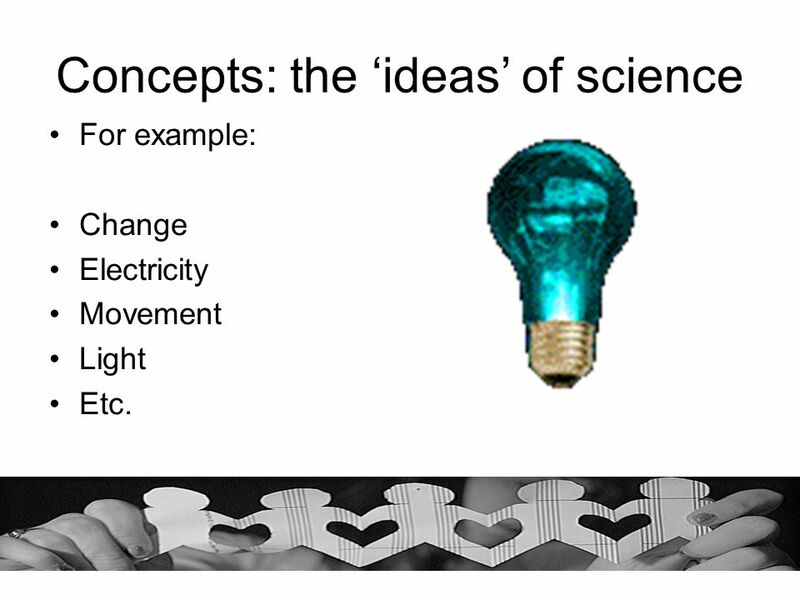 For example: Change Electricity Movement Light Etc. 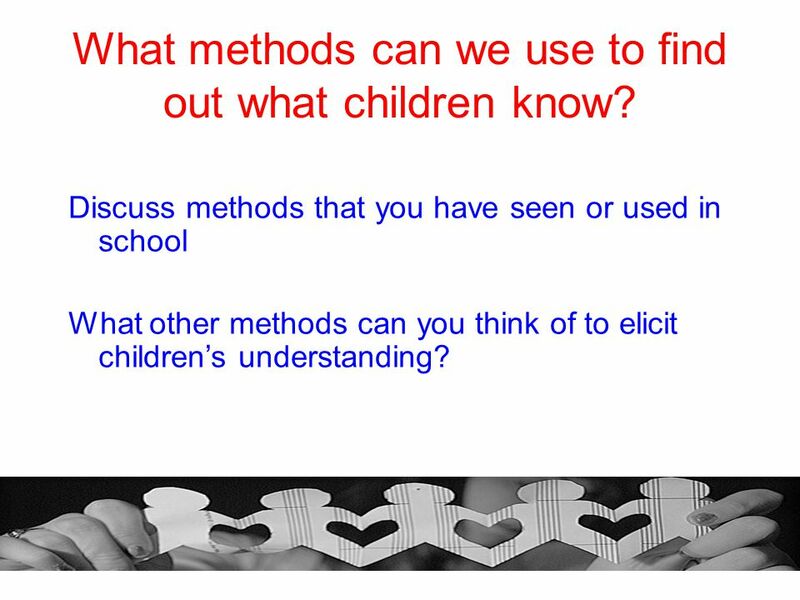 17 What methods can we use to find out what children know? Discuss methods that you have seen or used in school What other methods can you think of to elicit children’s understanding? 21 What I know What I want to know How I will find out What I have learned The heart pumps blood through the body The brain pumps electrical vibrations to your spine There are over 3000 bones in your body You have 5 senses You have brain, bones, bladder, blood, heart, lungs – they are for breathing and smoking burns your lungs Pendix The blood circulates to keep you alive When you run fast and when you are exhausted the heart beats faster When someone jumps out at you it beats faster In the bones there is marrow. It stops the bones from rotting and is a bit like jelly We have eardrums – they help us to ear How do the kidneys work? Are there 3000 bones in your body? What do your bones do? Why does the heart beat? Do all animals have hearts? How do the lungs work? Are everybody’s lungs the same size? Is there a pipe between your lungs and your heart to pump the air round our body? What is an appendix for? Why does the blood circulate? How many times does the heart beat? Does the heart beat 106 times a minute? How does the bladder work? How can the heart keep us alive? Why do the veins stick out when you stretch? How do we grow at night? Why have we got eyebrows? Why is there marrow in the bones? Why does the blood go around? 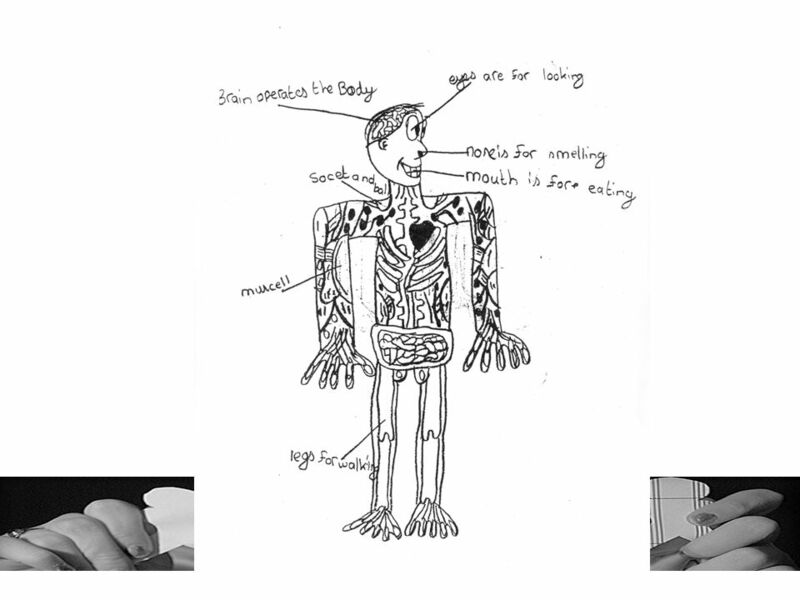 Look in a book Use skeleton Internet/CD-ROM (Practical work and use of models) Test it Models of torsos and secondary sources Kinaesthetic activity in the hall. 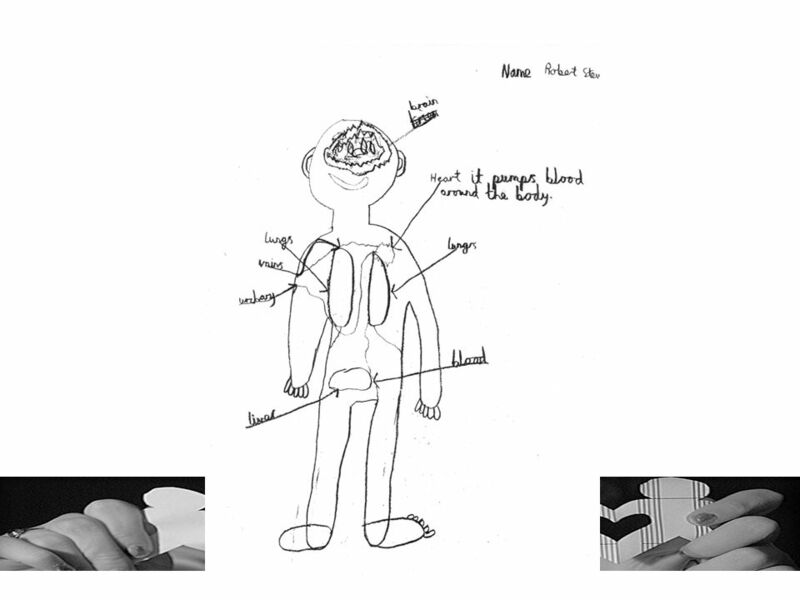 Test it/ investigate Survey across the school Videos and books Observation Test/look in books There are 106 bones in the body they are not all the same size and some – like the ones in the ear are tiny The heart is a muscle and it beats to push/pump blood around the body Not everyone’s lungs are the same size but the tallest person did not have the biggest lungs. Your lungs grow with you as our teachers’ lungs were bigger than ours. In the hall we acted out what happens in the body. The muscles need food and air to move, and the blood gets it to them. If the muscles are working hard they need more food and air so the heart has to work faster, I like it, it was fun. I still am not sure that we don’t grow at night. I think that we do although there were some books that said we grow slowly all the time until the end of teenage years, but I don’t feel myself grow. Too small to read but key points can be read out. 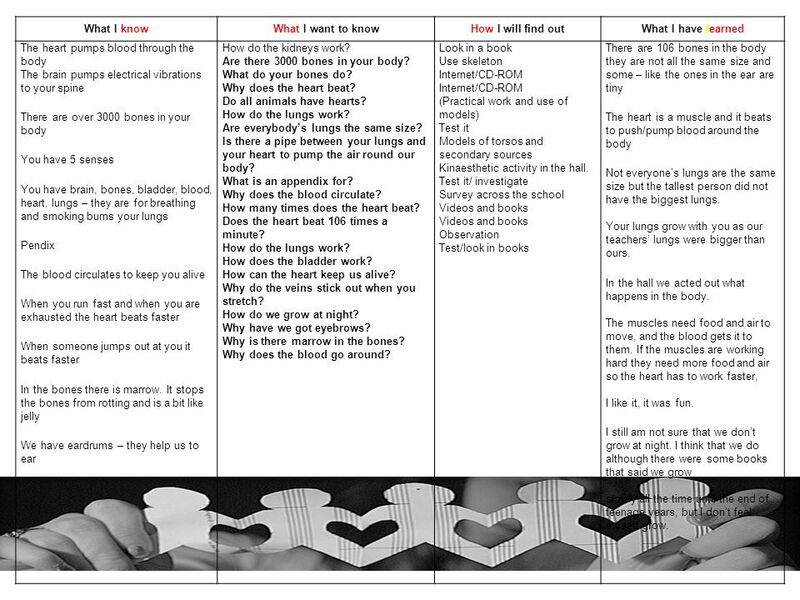 Also – the way that teacher’s can use the first two columns to help their planning can be discussed. 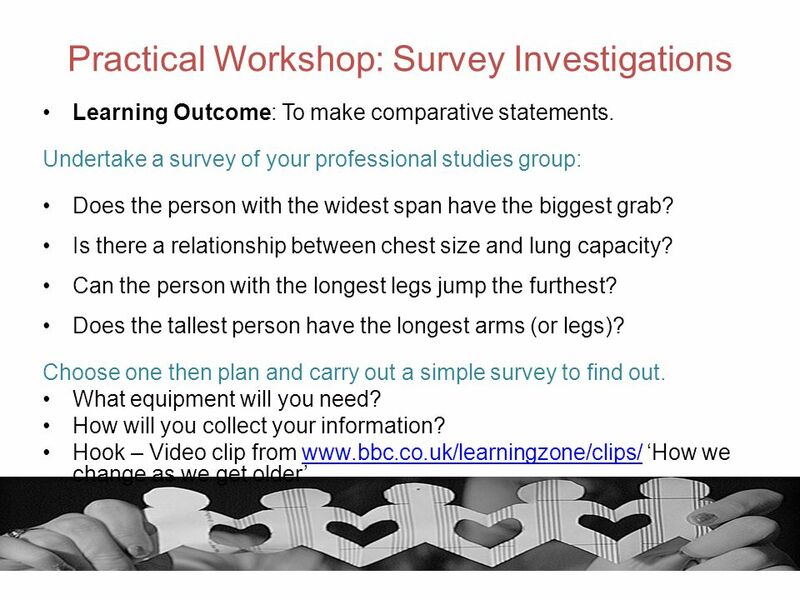 Similarly, discussion about the assessment value of the final two columns is useful. 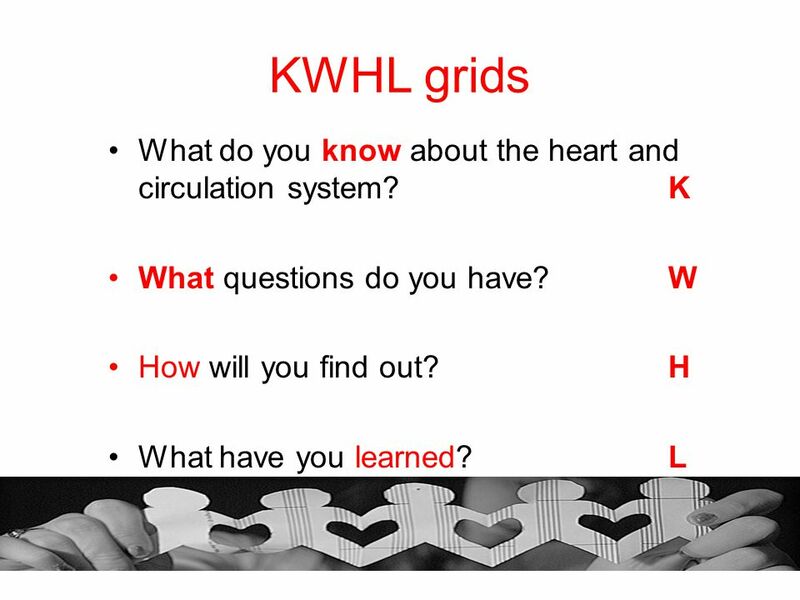 There should be approx 15 handouts of this grid but past experience suggests that there may not be a great deal of time for paired analysis followed by whole group discussion. 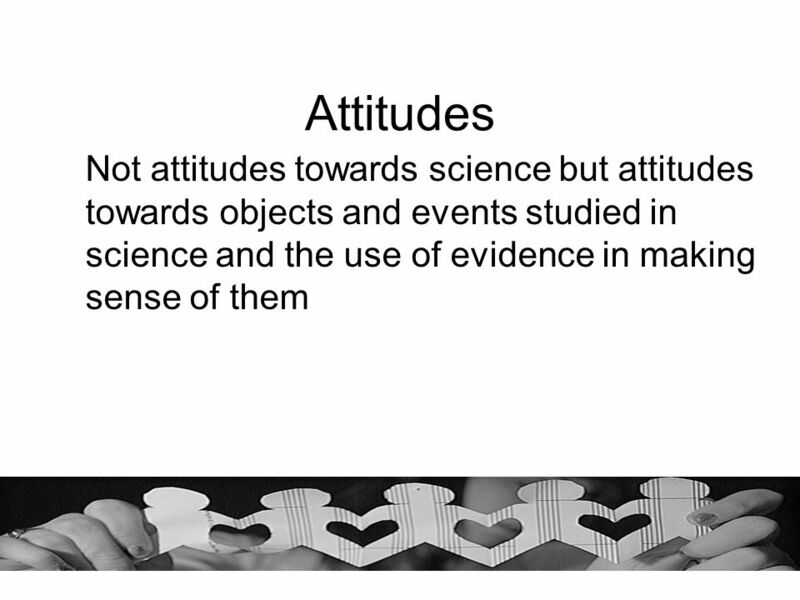 This slide is useful if this is the case. 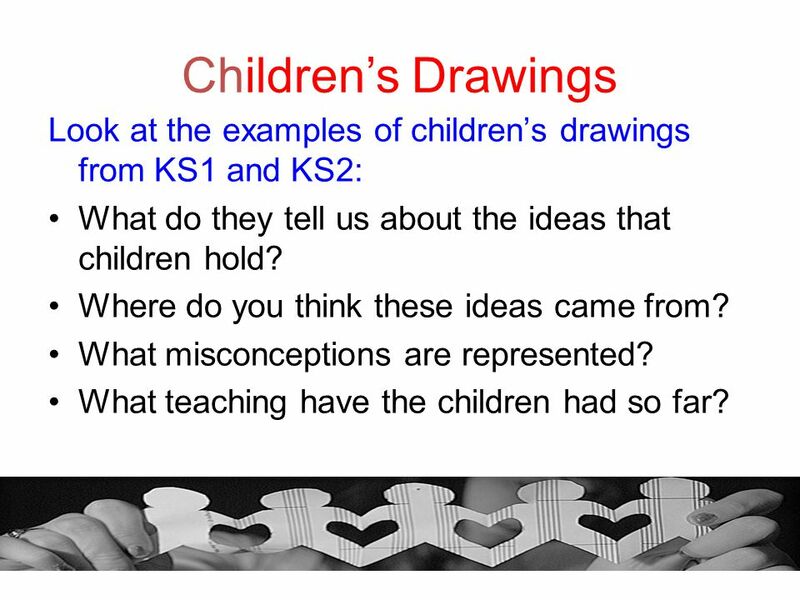 22 Children’s Drawings Look at the examples of children’s drawings from KS1 and KS2: What do they tell us about the ideas that children hold? Where do you think these ideas came from? 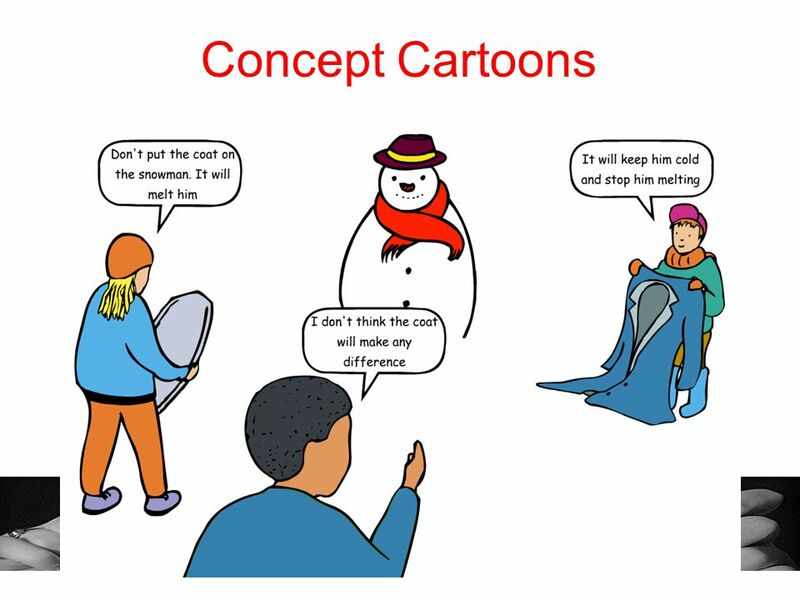 What misconceptions are represented? What teaching have the children had so far? 28 Group Work Was it useful to work in groups rather than alone? 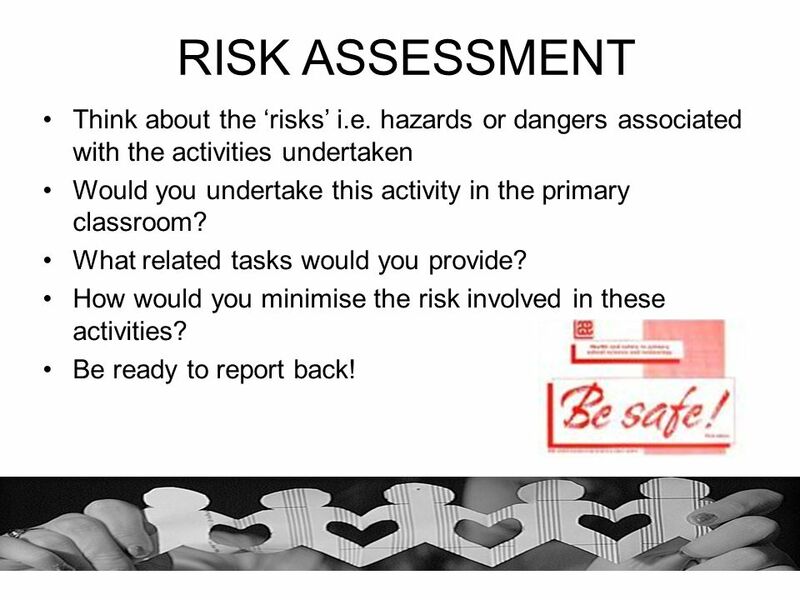 29 RISK ASSESSMENT Think about the ‘risks’ i.e. hazards or dangers associated with the activities undertaken Would you undertake this activity in the primary classroom? What related tasks would you provide? 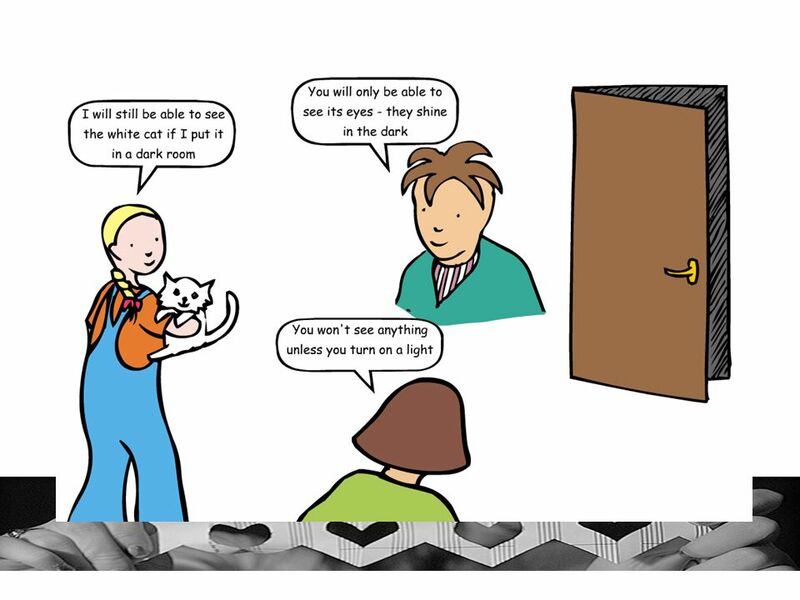 How would you minimise the risk involved in these activities? Be ready to report back! 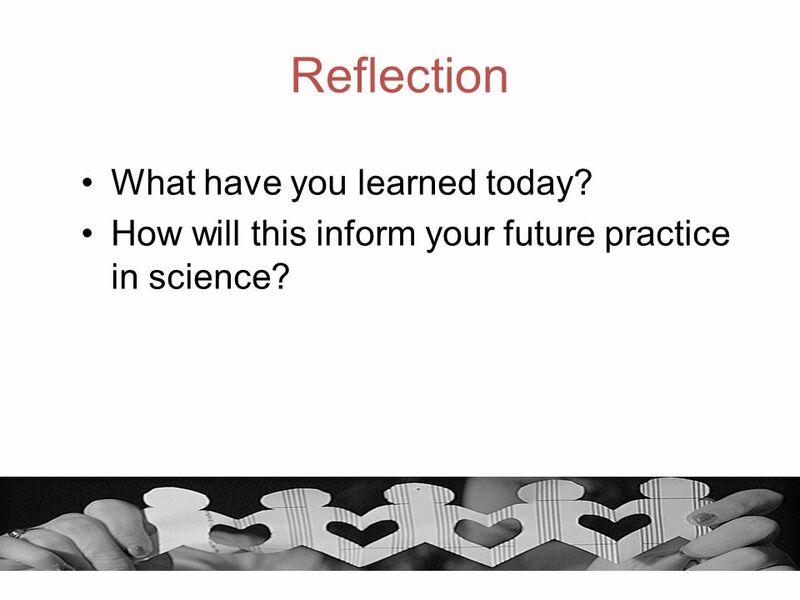 30 Reflection What have you learned today? 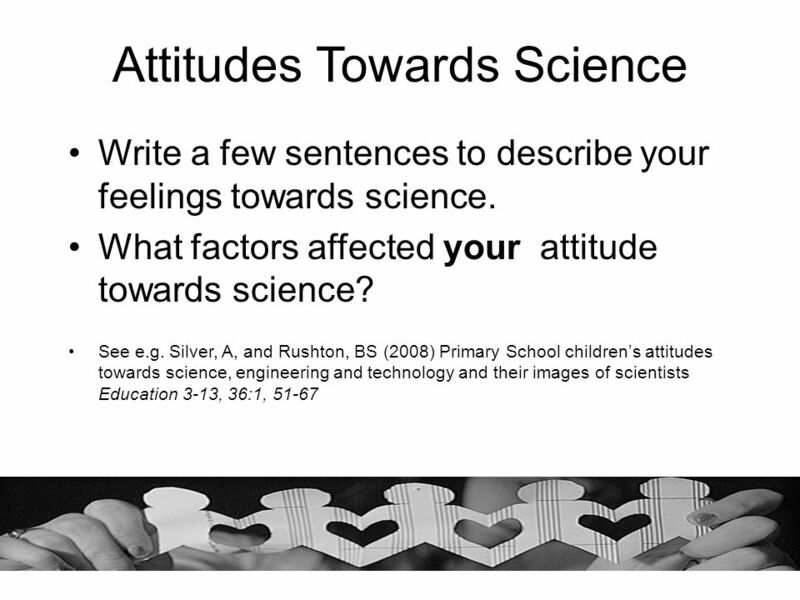 How will this inform your future practice in science? 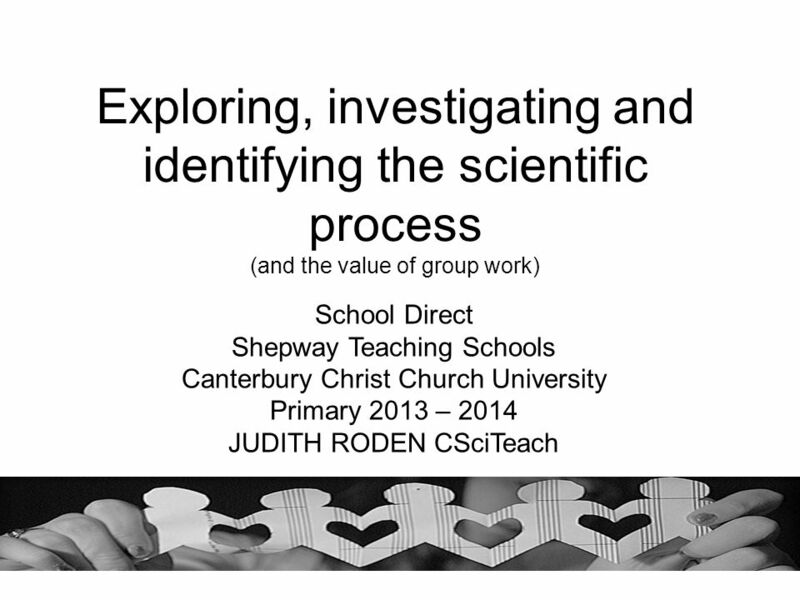 Download ppt "School Direct Shepway Teaching Schools"
How Students Learn Science: Faculty Discussion 1 364: PRACTICES OF SCIENCE Sally Blake. Anglian Water Sewage Works Chelmsford Wastewater Treatment Works 129 Brook End Road South Chelmsford CM2 6NZ Cross curricular links * SCIENCE. 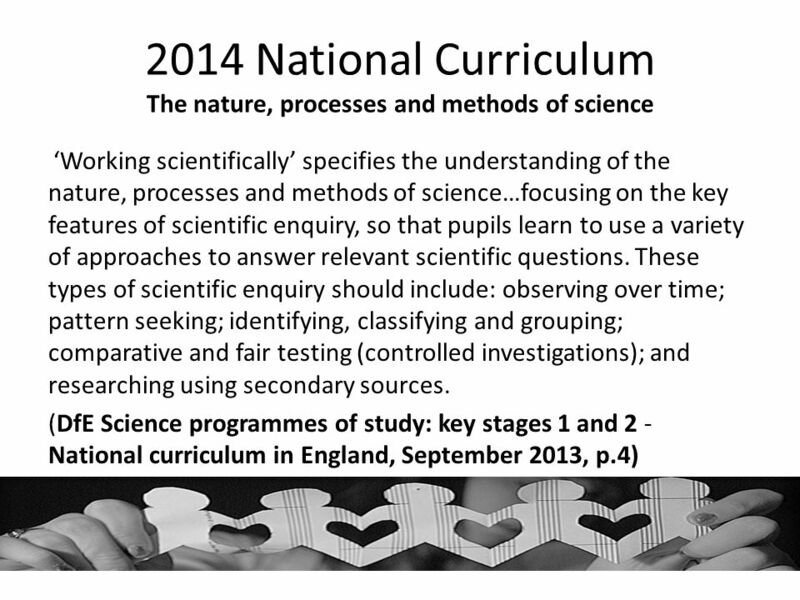 PRIMARY SCIENCE CONTENT OF SYLLABUS (PRIMARY 5). ThemesCore Lower Block * (P3-P4) Core Upper Block ** (P5-P6) Diversity  Diversity of living and non-living. Key Stage 3 National Strategy Scientific enquiry Science. November 8, 2012 Amy Carriere cesa10.k12.wi.us/qnet Those interested in connecting regarding PI34, and PDP come sit and visit! 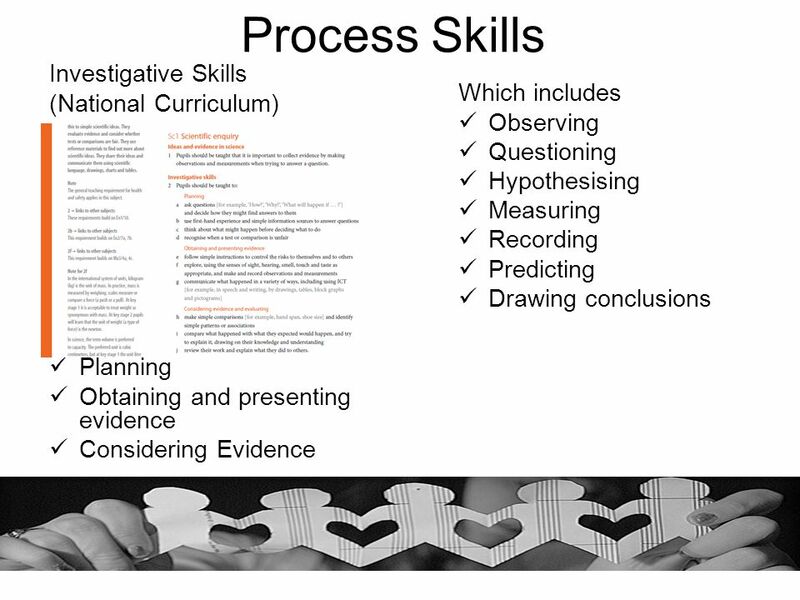 The Foundation Stage Assessment for Learning. 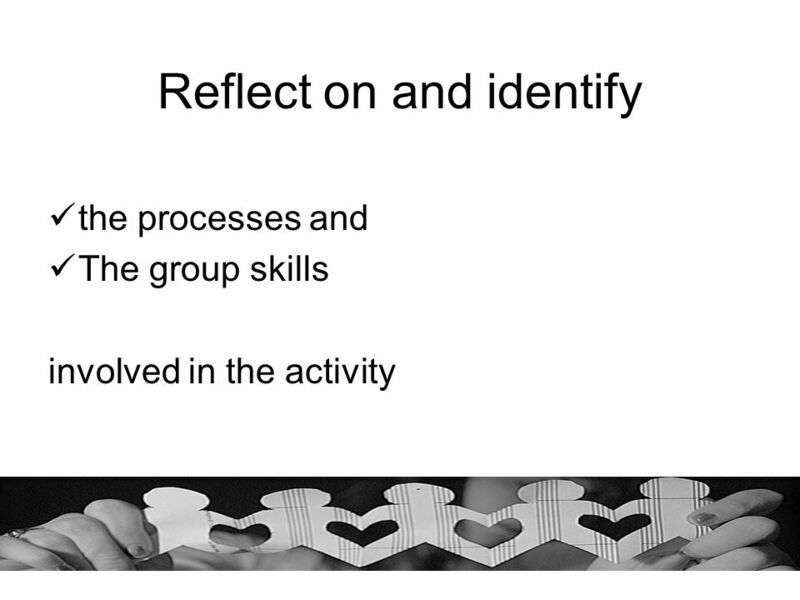 Programme Session oneIntroduction Rationale for AfL COFFEE Session twoSharing learning intentions Success. NSS Seminar Series Teacher Seminar Teaching English through Drama. Inquiry. 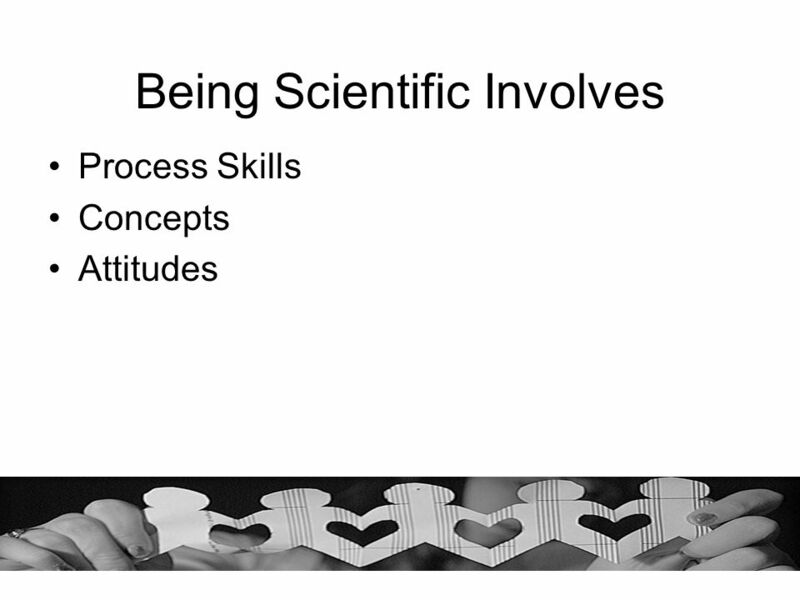 Inquiry is a term that we often hear when we are talking about science teaching. How do you define “inquiry”? Wynne Harlen Fibonacci European Training Session, March 21 st 2012.